Wal-Mart is an interesting study in making business green. Since 2005, and, really, prior to that, Wal-Mart has stepped up its efforts to have a more positive impact on the world – environmentally, socially, through product lines and capital (go to Fortune.com for more information on how Wal-Mart got started on its green initiatives) . 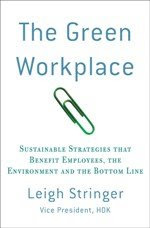 While Wal-Mart’s leadership has jumped on board and is helping to lead the effort, the megachain has recognized that its efforts will be in vain if it does not move from the ground up and empower its employees to think about sustainability on an individual basis. Thus, in 2007, Wal-Mart introduced a new initiative it calls the Personal Sustainability Practices (PSPs). The purpose of the voluntary program is to assist its associates with incorporating sustainable principles into their daily lives to improve their overall wellness, as well as the health of the environment. Associates develop their own lifestyle changes – everything ranging from eating organic food to exercising to organizing recycling efforts – that specifically works in their routine and will keep them motivated. 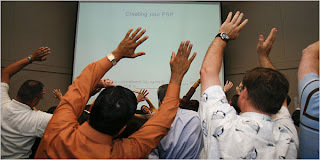 The only guides for developing a PSP are that it must: sustain the planet, make one happy, affect the community, become regular and continuous in daily life, and include visible action that can be shared with and seen by others. - Quit or reduced smoking, with more than 10,000 Associates to date making a healthier change! Some employees want to carve out more time from their busy schedules for family and friends, while others are advocating for healthier meal options in their stores (i.e. - Subway v. McDonald's). Said one associate to the NY Times, “This is not about becoming a tree-hugger... It’s about making one little change." Perhaps Wal-Mart's PSP is one drop in a large bucket of corporations encouraging lifestyle changes, but Wal-Mart has the capability to be one heckuva large drop. I love my Prius…and so do my favorite Celebs! Brace for Energy, not Pain! Time to loosen your tie? If it’s Brown, Flush it Down! The beginning of the end for free carrier bags?